92 min [ ] - In 1918, civil wars are tearing Russia and China apart. 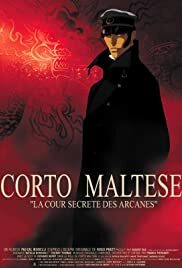 Laconic adventurer Corto Maltese is hired by a Chinese secret society to capture a train that's taking Tzar's gold abroad. His friend Rasputin joins him, but only hell awaits them.